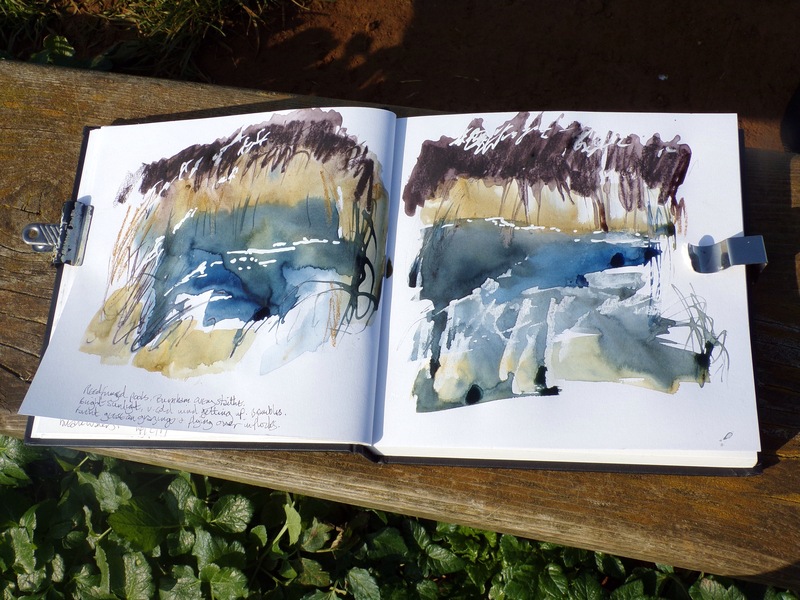 Recent walk and sketching in early spring sunshine (and Baltic easterly!) 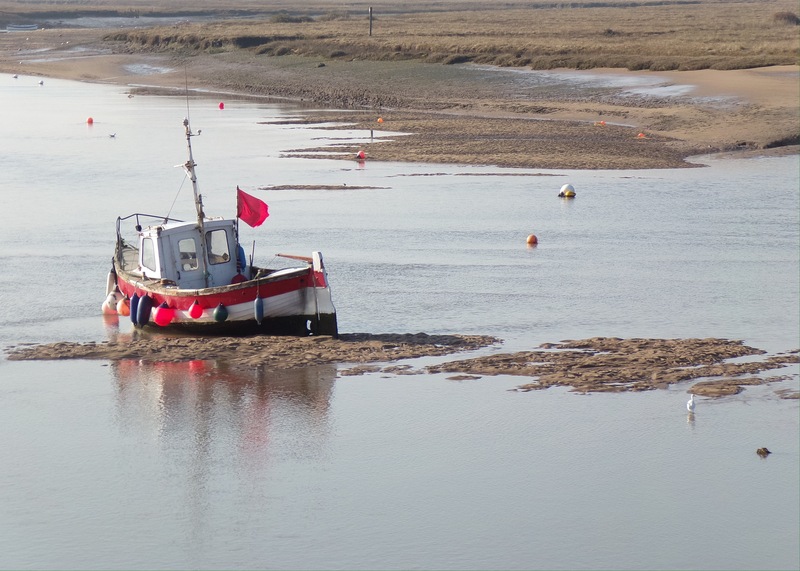 at Burnham Overy Staithe, on the north Norfolk coast. It was spring half-term so there were quite a few groups of people about and the usual dog walkers. 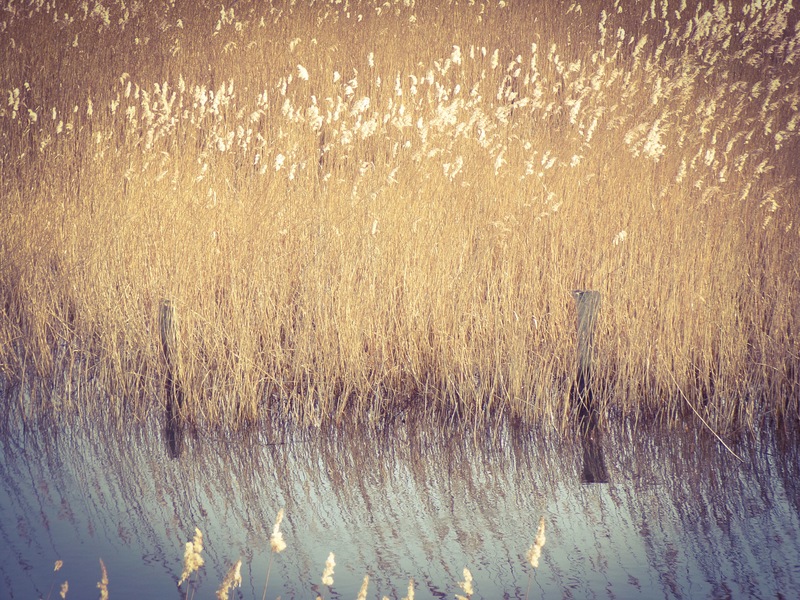 Always happy when a dog bounces up to inspect what I’m doing 🙂 The sunlight through the reeds and spangled reflections in the pools was a joy to observe. Handily placed benches help too! Returning to the car my attention was caught by large flocks of smaller birds lifting up into the air en-masse from the grazings, although the larger geese didn’t seem bothered. 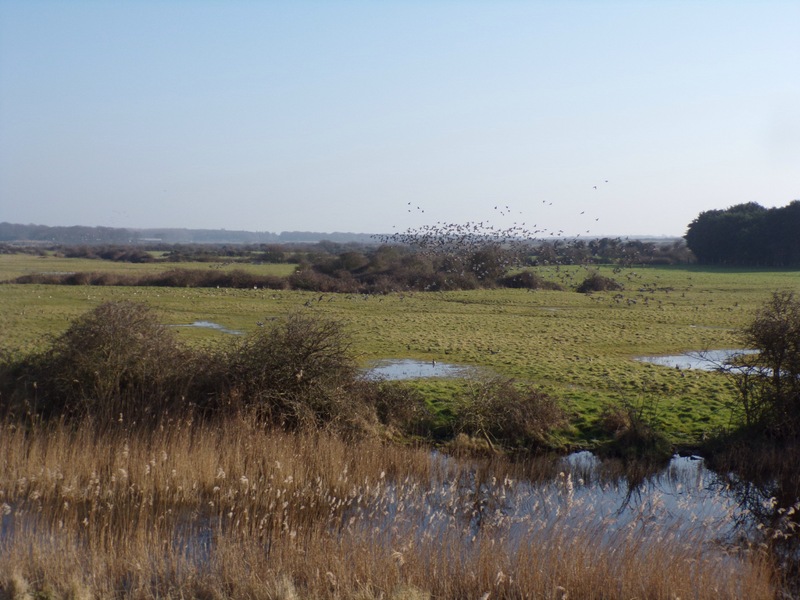 I stopped to use my monocular and spotted a Marsh Harrier swooping along the edge of the field and hedgerow, flushing the birds out. It swept swiftly up and along a few times then landed out of sight, possibly with a catch. I was hoping I might have caught it on my photos but it was too fast. 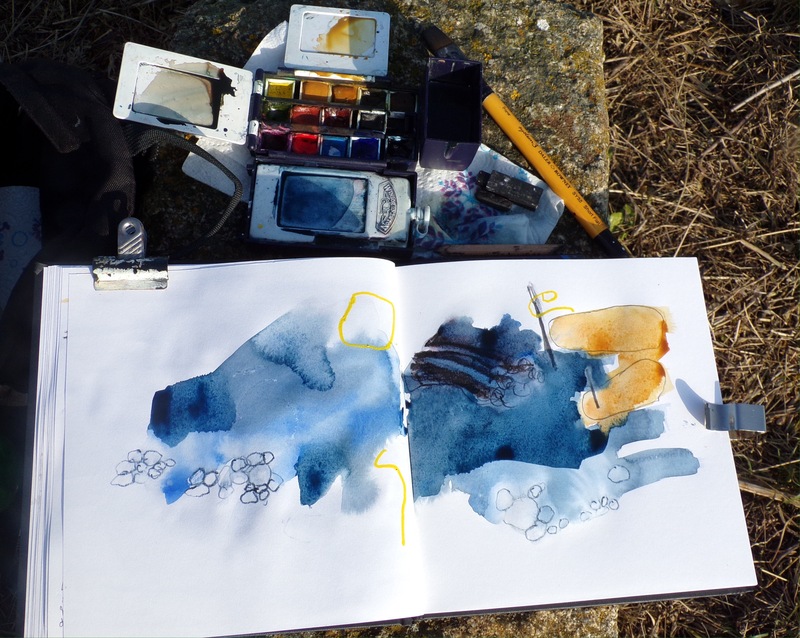 This entry was posted in art, landscape, Norfolk, sketching and tagged abstract, breakwaters, Burnham Overy, Burnham Overy Staithe, coast, creek, geese, grazings, Marsh Harrier, north Norfolk, pools, reedbeds, sketchbook, walking, watercolour, watercolour sketching by mari french. Bookmark the permalink. Your delightful work just get better and better, thrilling to see these sketches. This work is so strong. Generosity with your materials choices is so helpful to those of struggling on as ever. Thank you for for the time spent doing this Digest. Thanks for your kind and thoughtful response, Rosemarie. It’s good to hear my posts encourage and help other artists, even in a small way. Really pleased you enjoy them! Unseasonably warm here in Minnesota, but a debilitating cold kept me mostly housebound over the weekend. Your sketchbook provided a breathe of fresh air. Nice work. Thanks! Thanks for generosity in allowing us working sketchbook. The work is so vibrant and energetic. Pleased you enjoyed it Christabel, thanks for your great feedback! 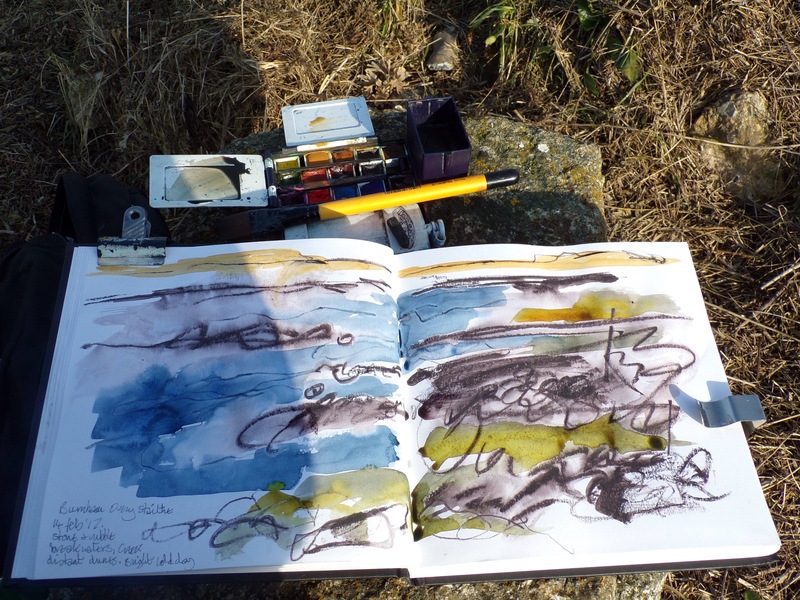 I love the North Norfolk coast Mari and your descriptive account alone captures the essence of the place…..add to that your sketchbook studies and those reed beds and creaks really come to life! Do you use white gouache for the highlights? Looking forward to see how you develop from these studies and feelings when back in your wonderful studio..!! Thx for the info…will check them out!